getinkspired.com - Your home for creative writing. For free! Enjoy one of the finest experiences writing fiction. It's very easy, fast and convenient. Write and publish your stories faster by doing it in chapters. 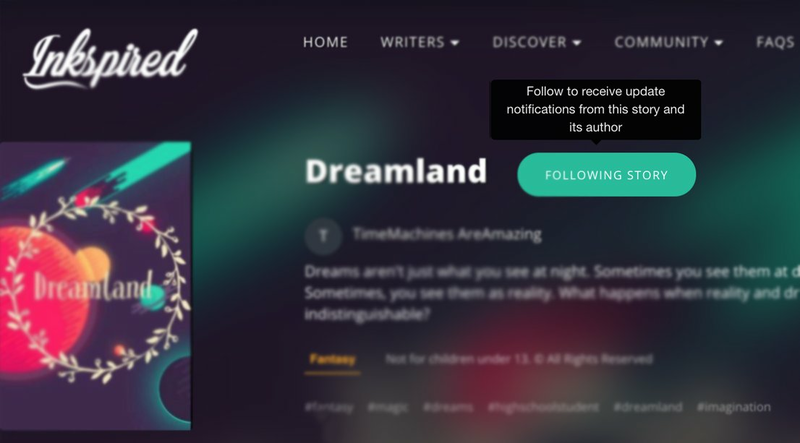 Readers receive notifications whenever a new chapter of your story is published or updated. 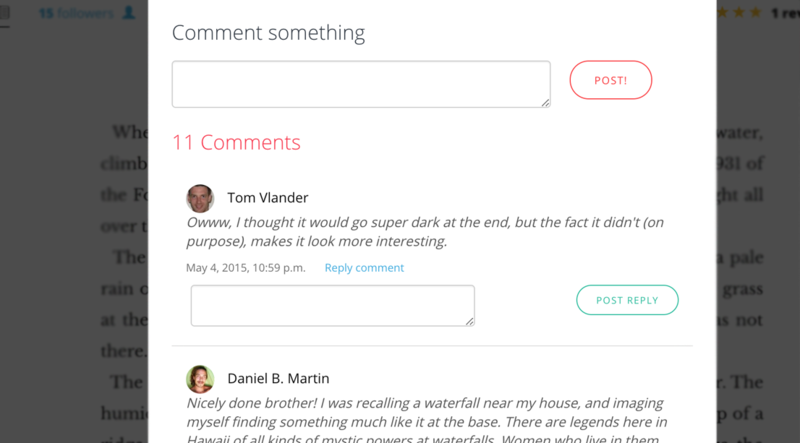 Interact with your readers in real-time, connect with them, and get feedback. 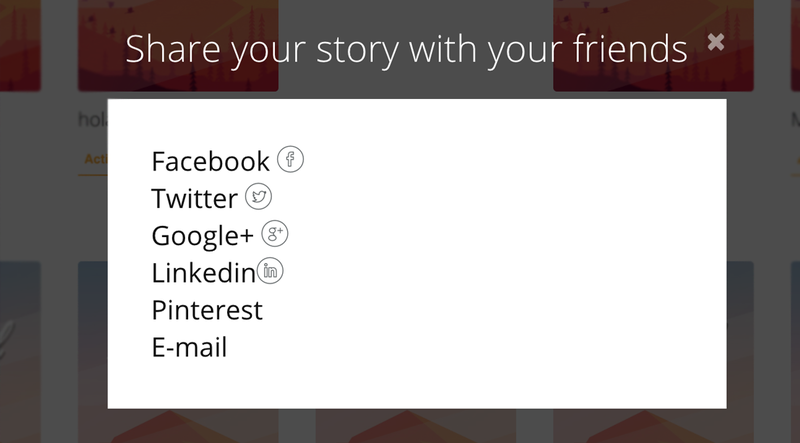 All your stories can be shared across all your social networks. Get published from day 1. Your story doesn't need to be finished to be publish, you can do it serially. Get followers, and they will get notified every time you release your next update and/or chapter! Auto save your work, keep track of your progress with word and characters counters, reading time, and also switch between your favorite writing interface colors. 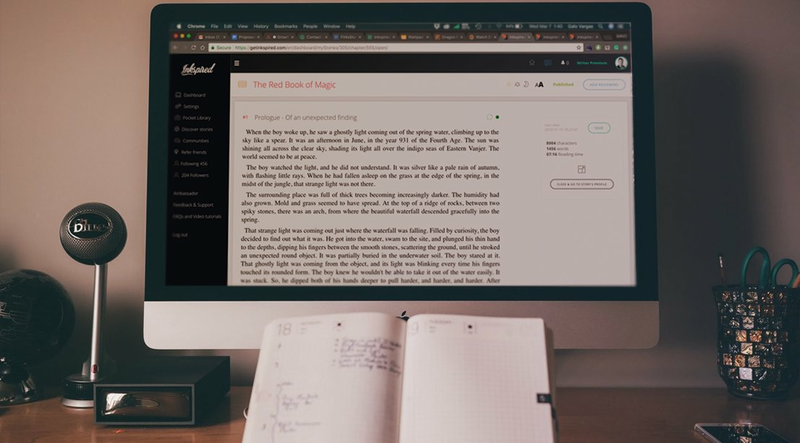 Novels, short stories, tales, comics, blogs and even micro fiction formats are available for you to try, experiment, and magnify the potential of your storytelling style. 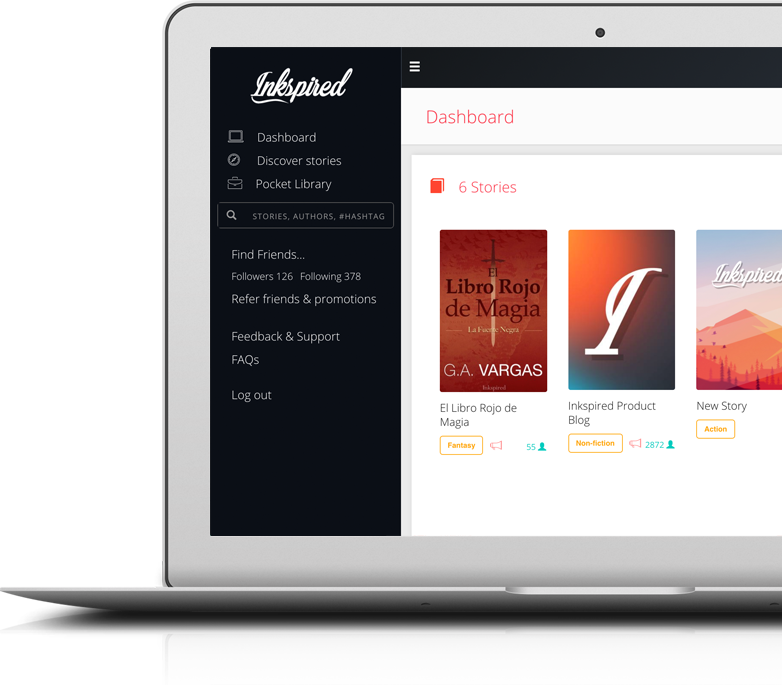 Write without Internet connection from anywhere using our new Inkspired Writer app for Mac and Windows, and keep your content, stories and books synced and backed-up in your getinkspired.com account at all times. Experience the future of writing. Read more. Get to know numbers, who and when they are reading your story. 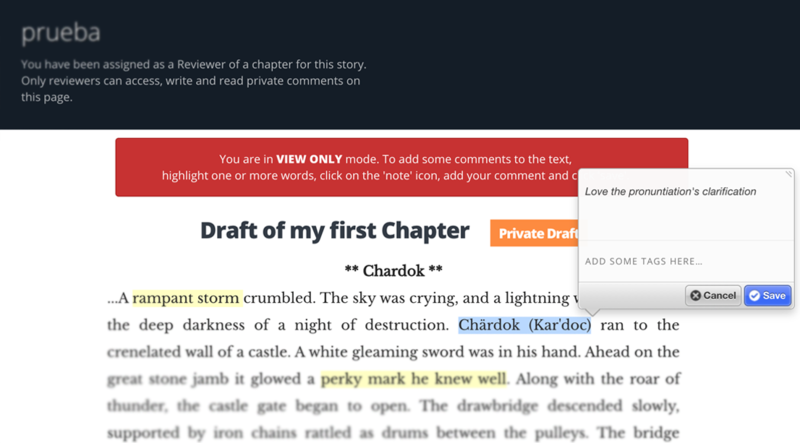 Receive, reply and manage your reader's comments in your chapters. Share privatly your draft/unpublished chapters to your trusted friends, and let them add notes and comments to it, so you can improve it, and then finally publish it. 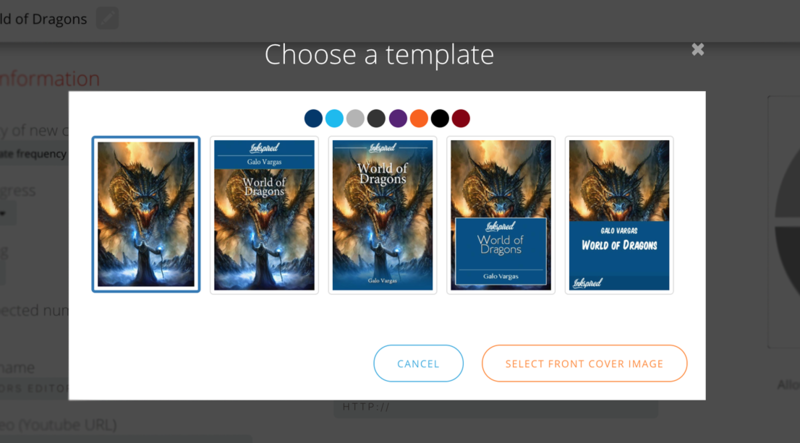 If you don't have a Book cover yet, just upload a picture and use any of our Book cover's templates. You can customize it with your favorite color. 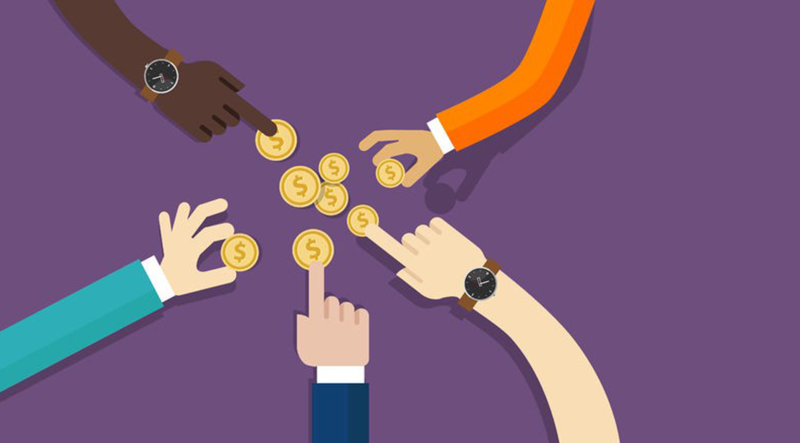 Monetize in a non-traditional way! As you publish chapters, you will still be able to edit and update them. Also, you can schedule chapters to publish them automatically in future dates. Share every new chapter you release in all your favorite social networks. Message all your stories' followers directly, and engage with them. 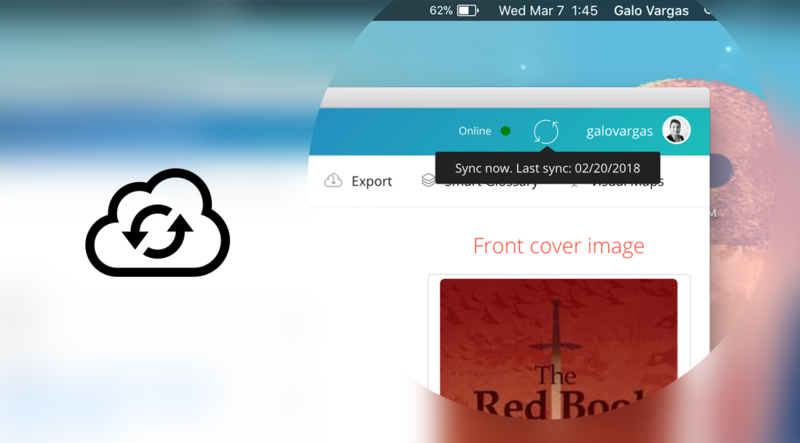 You will also be able to post updates and announcements on your user profile about your stories' progress. Use hashtags and a good description in your Story Profile, so new readers can find you through our Search engine, and other recommendations throughtout the platform. Get reminders as your next release deadline date draws nearer, and also notify your followers automatically everytime you make a new release. Get an instant and nice public profile page for you as an author, and for your stories as well. 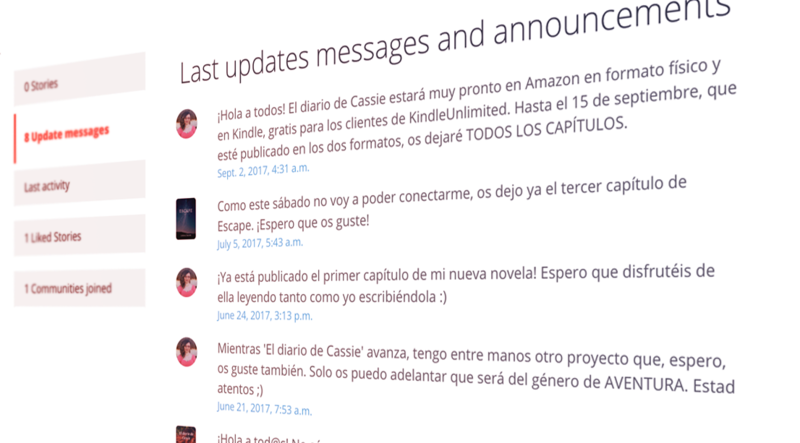 Your readers will enjoy a clean and easy way to read all your stories' chapters, and engage with you with comments, likes and more. 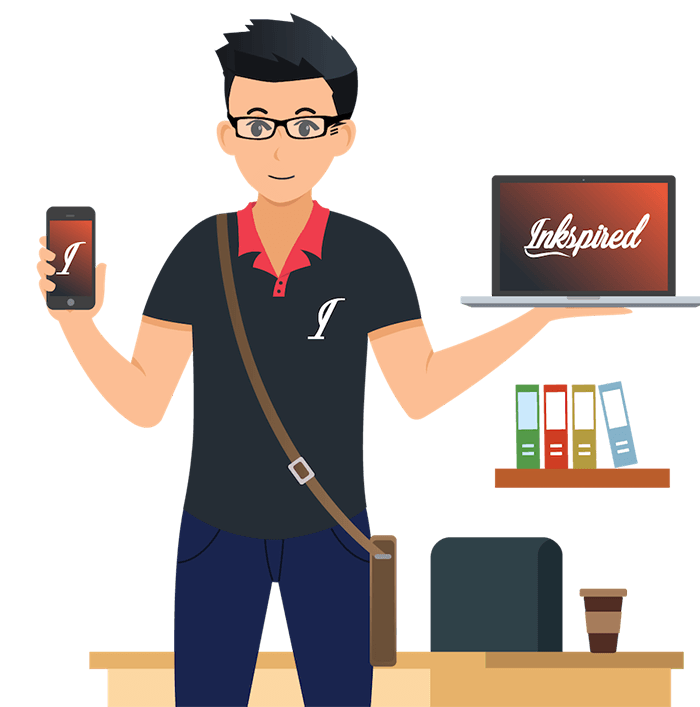 Take the content you write and publish in Inkspired with you and your sites, and get the most out of its exposure. 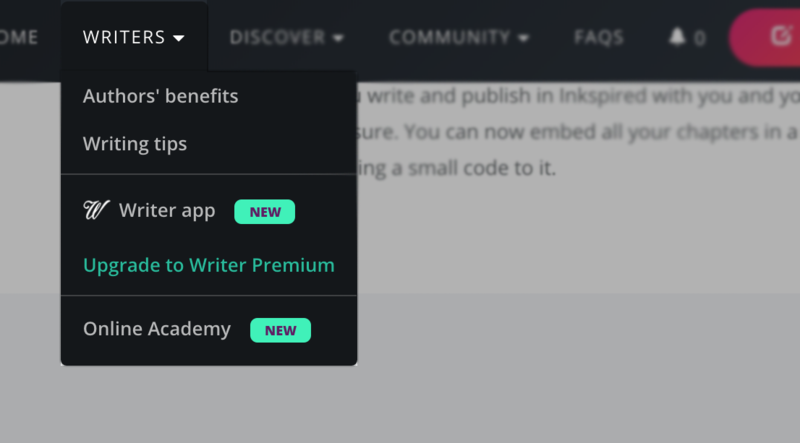 You can now embed all your chapters in any website or blog you have by just adding a small code to it. 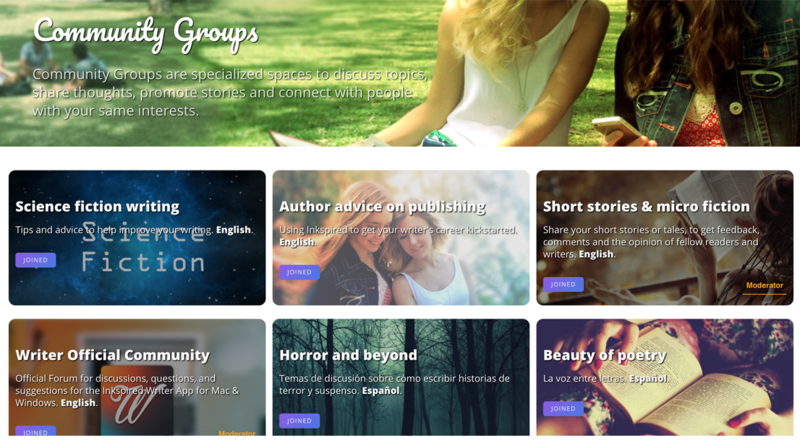 Get your stories promoted, people engaged and receive feedback on your story by participating in our themed community groups with people writing and publishing with similar interests. 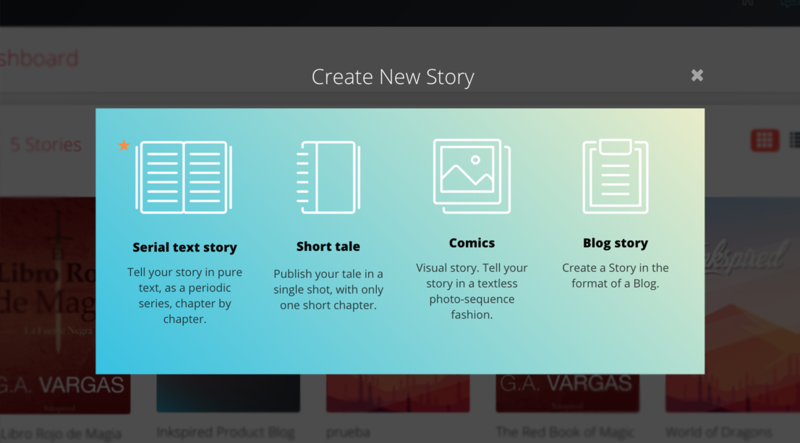 Create a new story with the Dashboard. Start writing the first chapter of your story. Complete the story's profile, and publish! That's it! Just download Inkspired's app in the Apple App Store, start reading your story, and share it with your friends so they can start following, reviewing, and sharing it with more friends. As a writer, you will benefit from evolving your story from an idea to a creation, and start sharing it with the world. 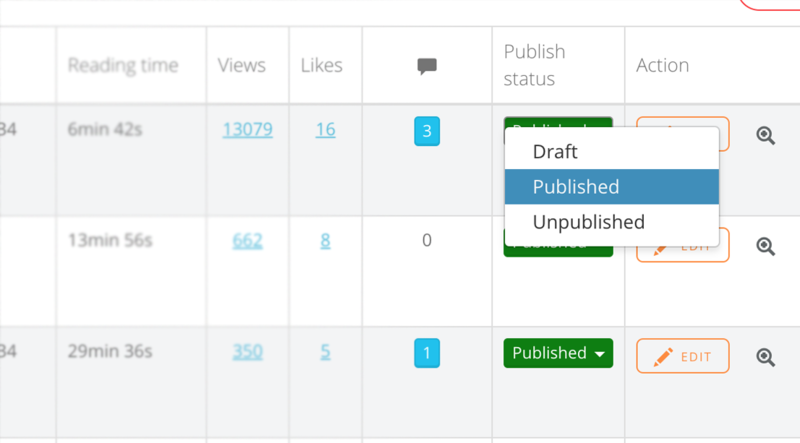 All content submitted to the platform belongs to its own authors. Inkspired is just a tool to help you. Ready for getting your story published? For free!